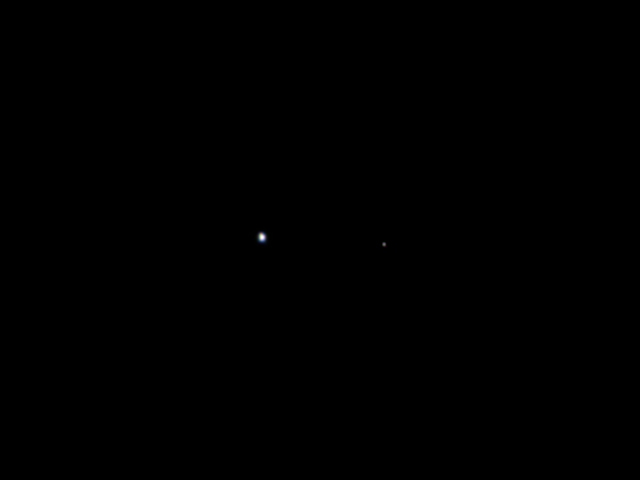 JUNO PHOTOGRAPHS EARTH-MOON SYSTEM: NASA's Juno spacecraft, en route to Jupiter, has turned and photographed the Earth-Moon system from a dustance of million miles. "This is a remarkable sight people get to see all too rarely," says Scott Bolton, Juno principal investigator from the Southwest Research Institute in San Antonio. Nasa.gov has the full story. 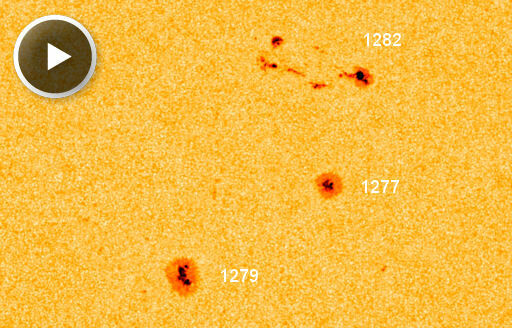 AR1282 has increased in size more than ten-fold during the past 48 hours: movie. Moreover, the sunspot is near the center of the solar disk, so any flares from this active region today would likely be Earth-directed. The behavior of Comet Elenin is akin to that of Comet LINEAR (C/1999 S4), which disintegrated when it approached the sun in back in 2000. Mattiazzo witnessed that event, too. "Yes I did observe the breakup of C/1999 S4 in July 2000," he recalls. "It was quite spectacular watching the nucleus spread out into a cigar shape over a period of days. The apparent breakup of C/2010 X1 is similar, although less visually spectacular." Comets are fragile objects, easily disrupted by solar heat. As a result, the possible breakup of Comet Elenin, while unexpected, comes as no surprise. Readers with pertinent images are invited to submit them here. On August 31, 2011 there were 1241 potentially hazardous asteroids.